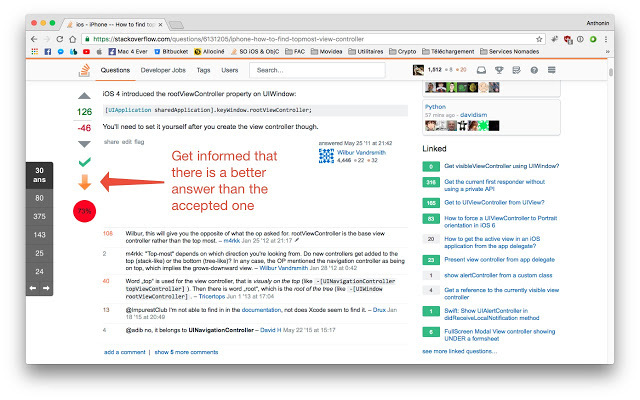 Have you ever felt that you've just wasted time while searching for an answer on StackOverflow ? Sometimes it's because you read the accepted answer, then notice that the next one has way more votes than the accepted one. Sometimes it's because you read a question ("Oh yes, it's the same problem as me !") but then discover that there isn't any answer to the question… I've started to develop solutions to these problems, and come up with a extension with many features that I can't live without since I use it. Every setting can be enabled/disabled through the settings page. I hope some of you will find it as useful as me ! Please find more screenshots on the Chrome Store page. 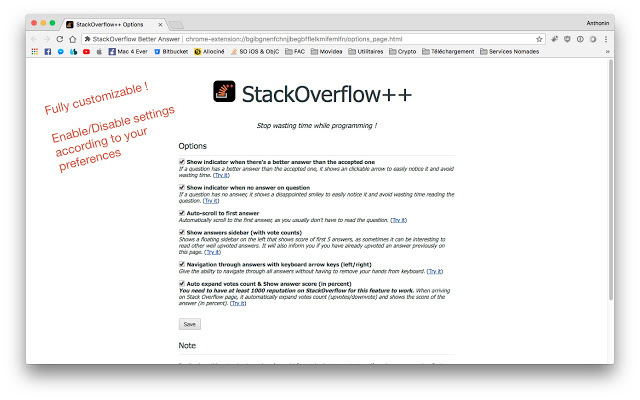 The extension can be easily installed through the Chrome Store : StackOverflow Power User. 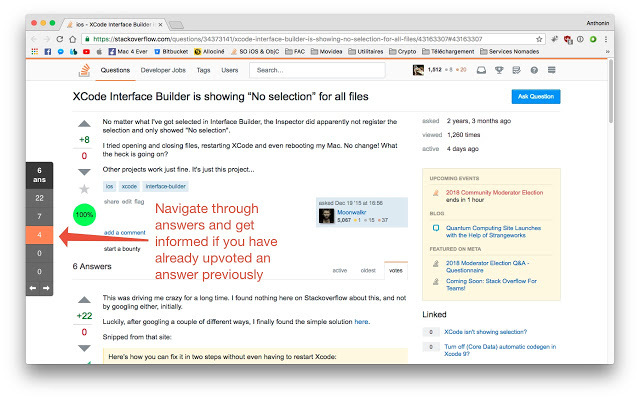 This extension is made for Chrome, and works with all StackExchange websites. Feel free to give me any feedback and feature requests in the comments of this post. Browse other questions tagged app chrome-extensions .